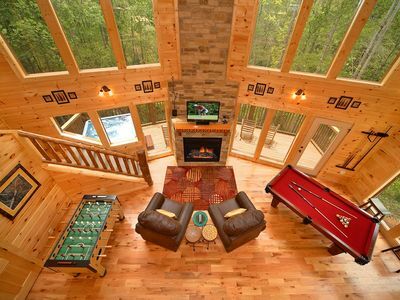 Over 110 windows opens this cabin to the outdoors like no other cabin can. 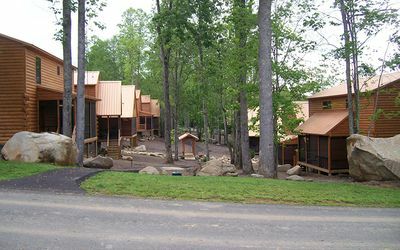 A fully equipped puppet theater, 80' projection screen, surround sound by Bose, cookware by Calphalon, 5 full and 2 half baths. Custom hardwood installation including inlaid medallions throughout. 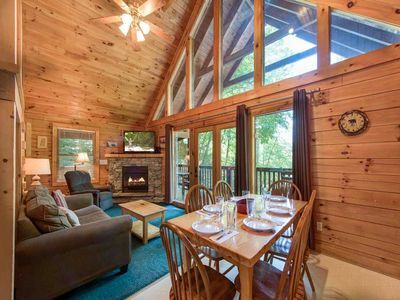 Decks which tower into the treetops, overlooking the trout stream which runs through the center of Gatlinburg. 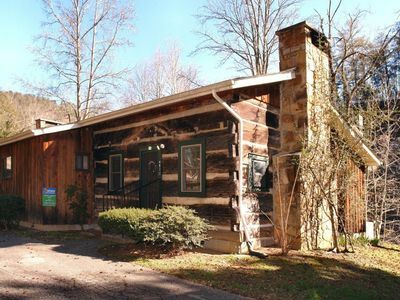 In short, a no-expense-spared custom cabin in one of the most historic of Gatlinburg's neighborhoods. 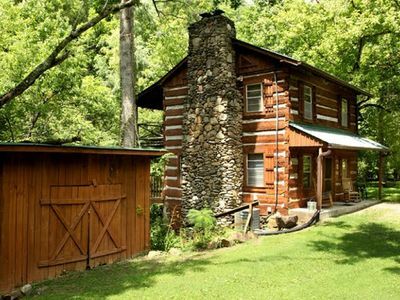 The 10' 18th century stained glass window is in the first hint that that this cabin is really special. 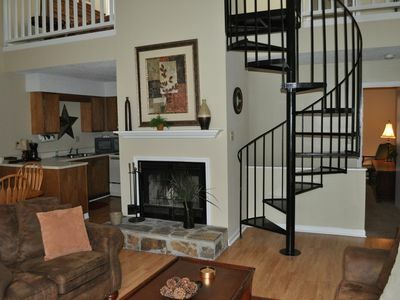 Finished with cedar shake, stone & log corners, and log railing. 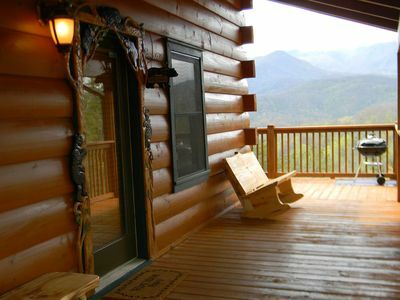 The Queen of Gatlinburg combines the best of cabin and Arts & Crafts architecture. 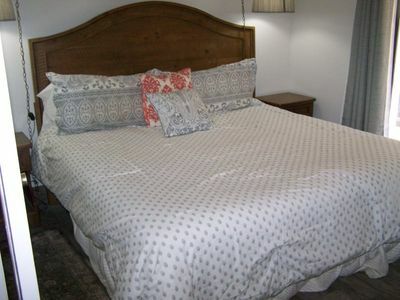 Each bedroom is spacious, features a king size bed and has its own private and spacious bathroom with inlaid slate and tile, antique vanities and oversize custom showers. 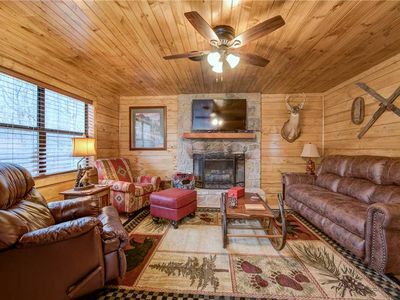 Two great rooms accommodate large groups, and include a slate pool table, Bose surround sound systems integrated with the 80 inch Projection TV and high quality furnishings. Amaze your younger crowd with the fully equipped custom puppet theater located behind the projection screen, or take them down the street to the river for fishing or swimming. We can assist with trout stamp/license information for the fishermen in your group. The river is stocked with trout once per week for the majority of the year. 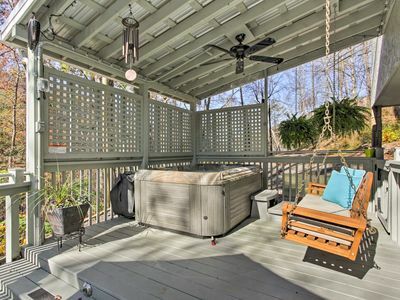 Adults will truly appreciate the spaciousness of all living areas. 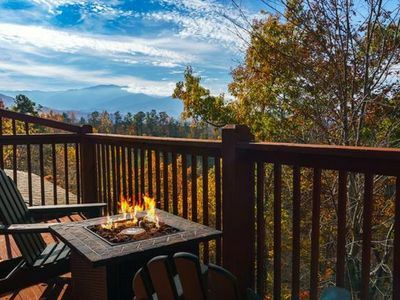 At well over 4,000 sqft this lodge will never leave you feeling cramped with larger groups, and features three levels of decks with each bedroom having access to the deck. Aside from the huge stained glass church window, another 40 plus antique stained glass windows accent the interior and exterior walls and offers that old world charm. 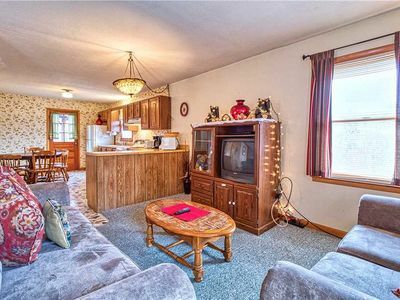 Other antiques fill out much of the décor, but with modern lodge-style furnishing for comfort. 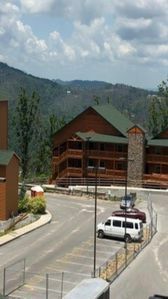 A close walk to downtown attractions, the Queen of Gatlinburg is convenient but privately situated above all other surrounding properties, literally towing into the treetops. 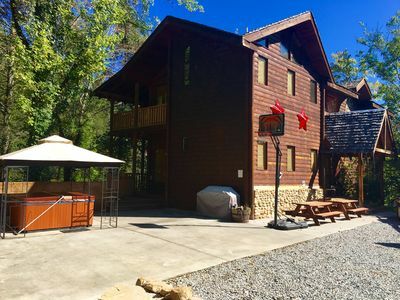 This brand new, custom cabin offers the very best in Gatlinburg accommodations...sure to become a favorite for large family vacations, church retreats, and corporate getaways in the Smokies. 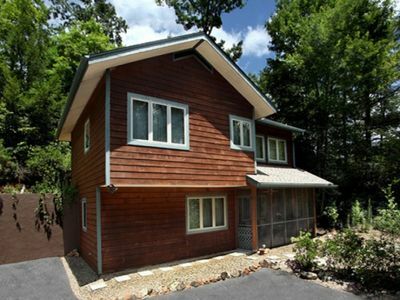 Luxury Dream Cabin!Breathtaking views*Perfect Location 5-10 min from everything! 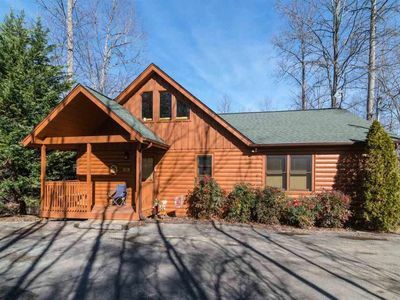 2 Bedroom Log Home just minutes from Gatlinburg! 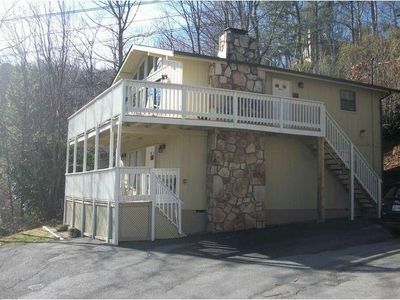 Updated Gatlinburg Cottage w/Hot Tub-Walk to Town! 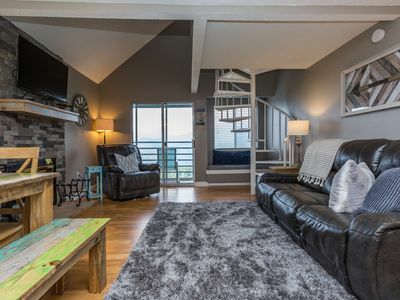 AMAZING VIEWS - OVER THE TOP AMENITIES - LUXURY PENTHOUSE SUITE! 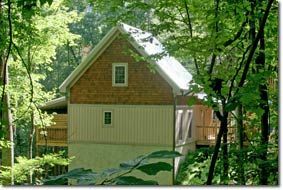 Treehouse at The Glades - luxury & privacy! 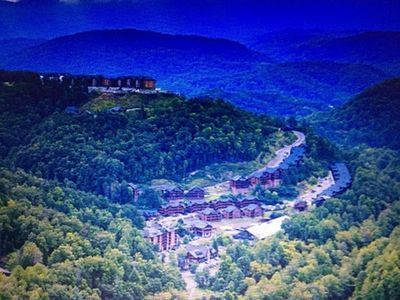 Gatlinburg 5 star resort with waterpark and gorgeous views!